Best Chicken Lo Mein - Kosher In The Kitch! 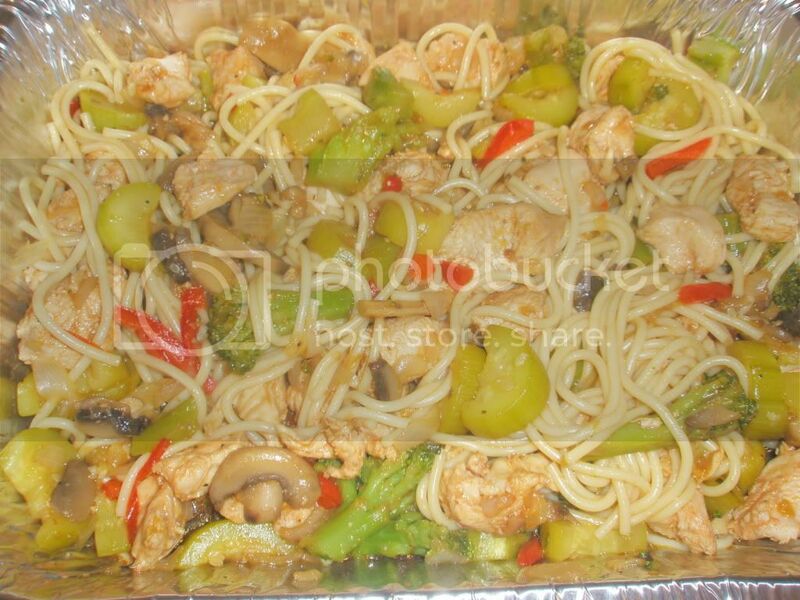 Best Chicken Lo Mein - Kosher In The Kitch! Hey everyone! So I was asked to guest blog on here and I must say I’m really thrilled! I love sharing my recipes with others and trying others’ recipes as well… I love to cook! This recipe is one of my own made up favorites. I made it up one day with my sis in law and now I make it pretty often, its awesome! Mix ingredients in a bowl. Cut up chicken cutlets into bite size pieces and coat with the sauce, let marinade for about 20-30 minutes. Put oil in a pot and sautee the onions. Once a little soft, add the chicken pieces. It’s ok if the sauce gets its way into the pot as well. When chicken is cooked take out he chicken and set aside. Add the rest of vegetables and cook till everything is soft. If it starts sticking to the bottom of the pot put in some of the leftover marinade sauce. When done add pasta and soy sauce. Mix well and let cook a few more minutes. Take off heat and serve. p.s. Sorry there are no measurements, I just throw it in as I go along.